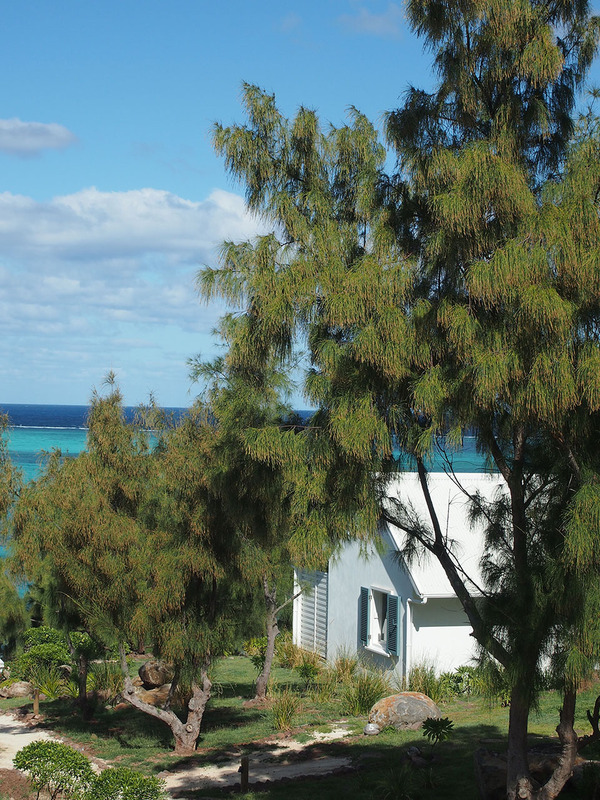 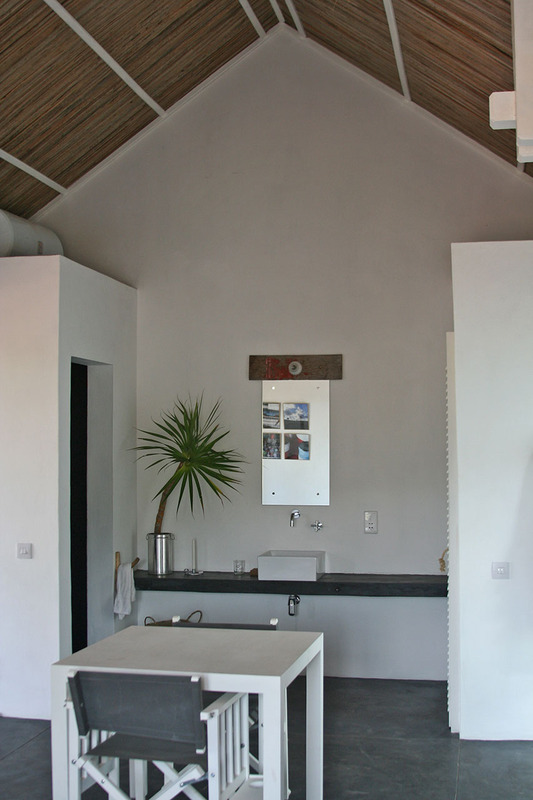 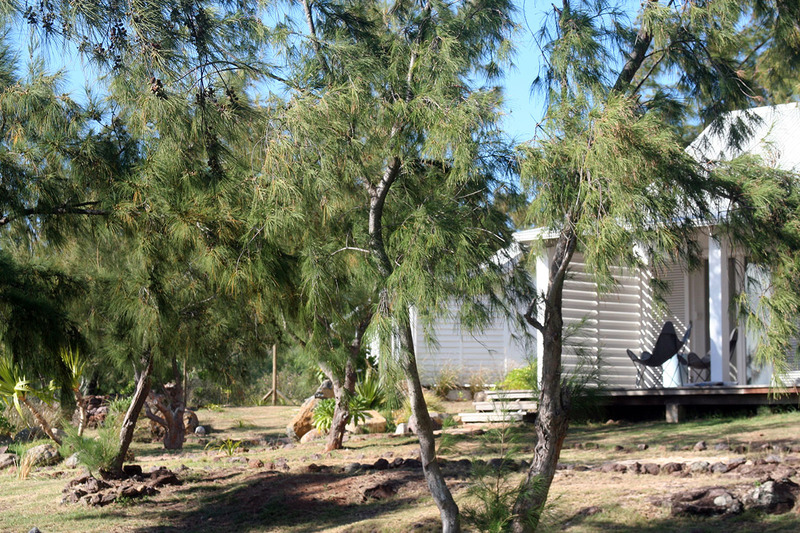 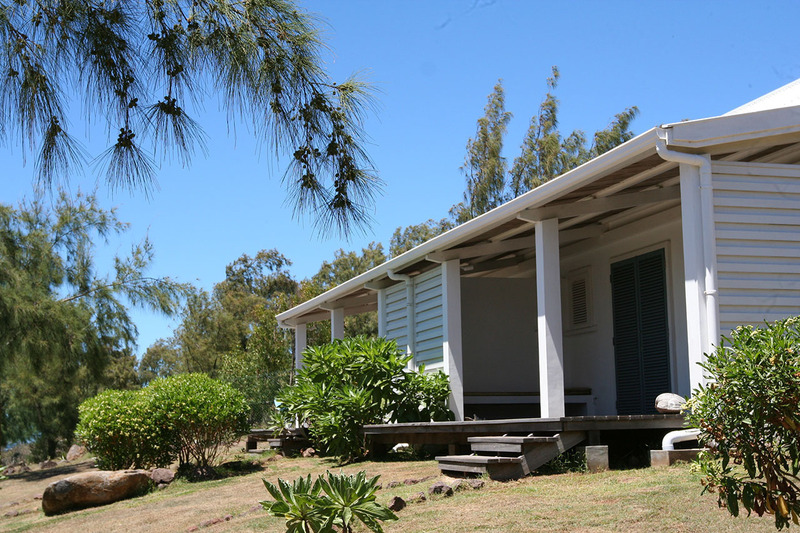 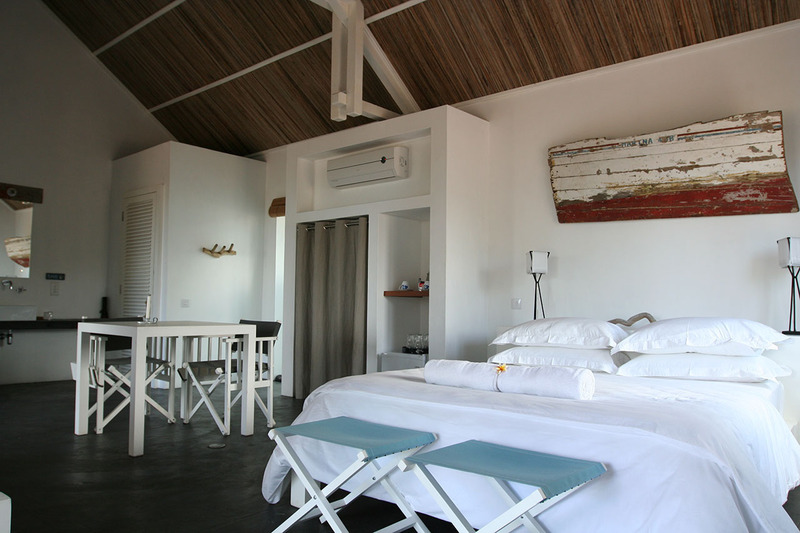 Bakwa Lodge - Accommodation in Rodrigues - Lagoon Suites. 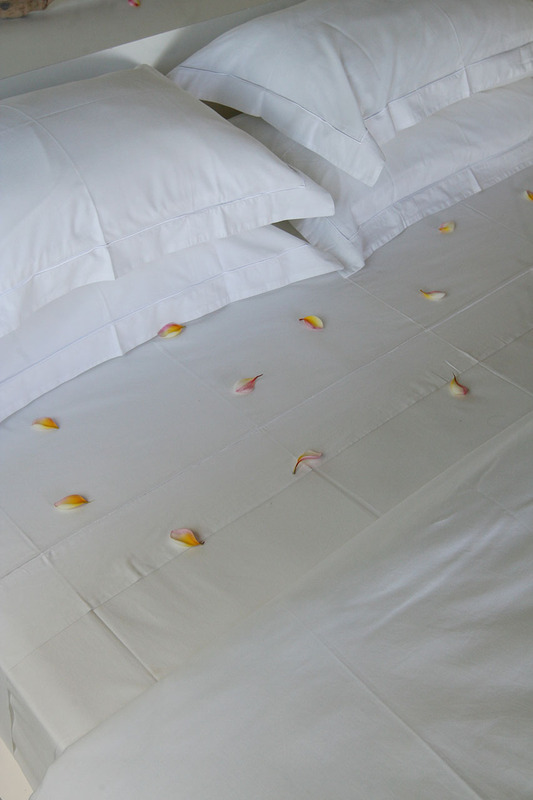 Lagoon suites comprise of a large spacious room with 1 queen size bed and 1 single bed with open plan bathroom, as well as secondary open air hot water shower. 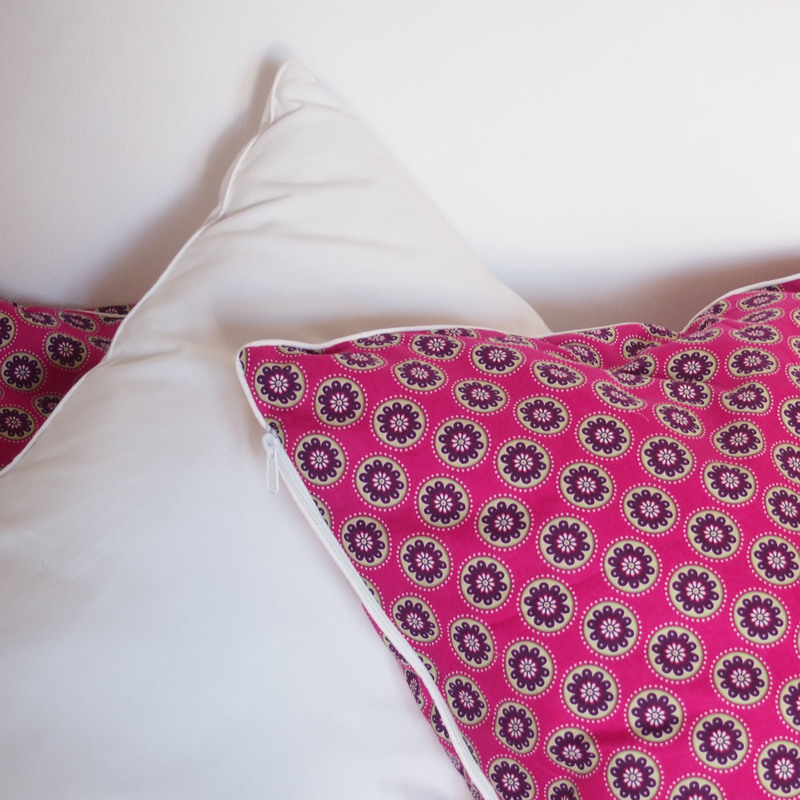 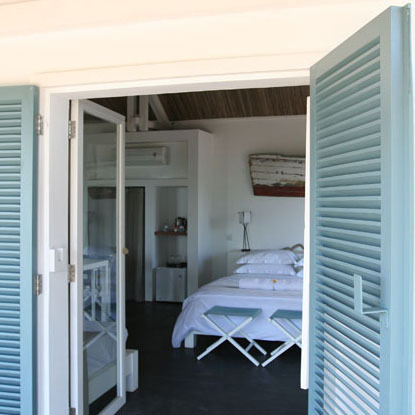 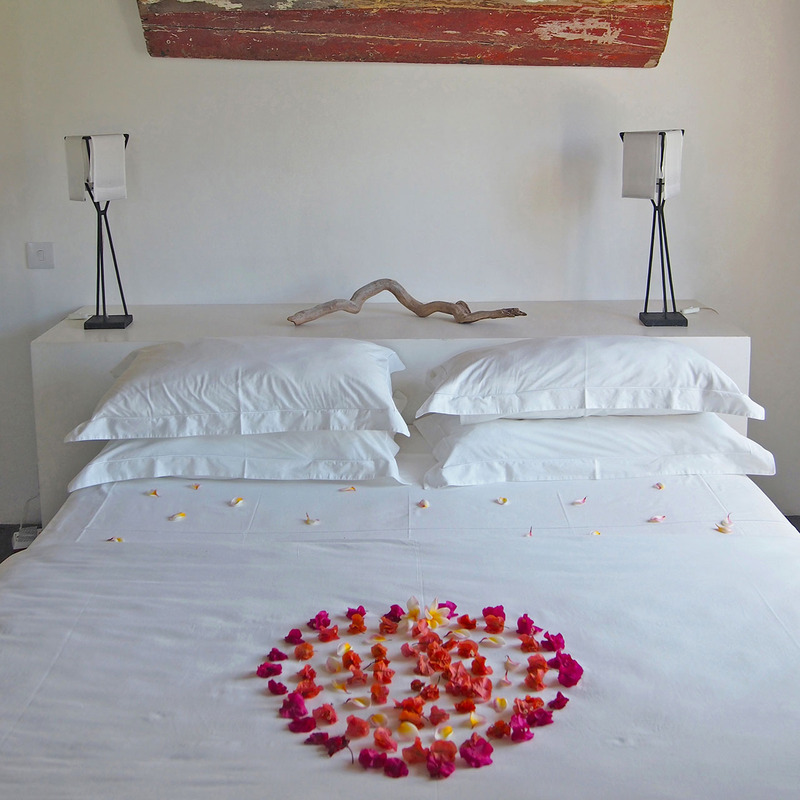 All rooms open out onto sea view with double doors onto wooden deck and veranda housing a private bench bed.